The villages crowning glory is the Priory Church, founded in 1091 as a Benedictine Priory. The nave of the priory still stands as the Parish Church and is lovingly cared for. 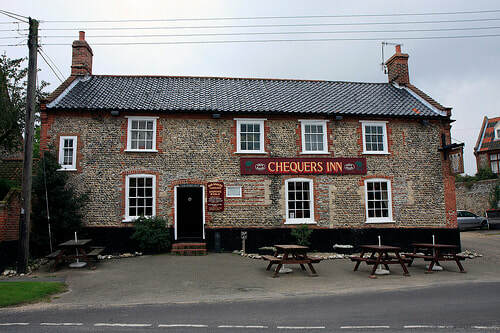 The Chequers Inn is a small but cosy pub situated 500m from The Village Hall. It offers a welcoming atmosphere and a range of good quality food and drink, in a traditionally comfortable Public house. Howells super store is a corner shop in the old tradition. It is very conveniently situated 600m from The Village Hall, right in the centre of the village. You can buy all your supplies here, from milk and newspapers to paintbrushes and bicycle pumps. It is also one of the very few village shops in North Norfolk that still provides petrol and diesel.